Las Vegas, NV – April 10, 2019 – ISCWest, Booth 33045 – The AlwaysON™ Premises Management Service Delivery Platform by Observables now integrates with award-winning Wireless Speakers from SONOS. Las Vegas, NV – April 10-12, 2019 – ISC West 2019 – Booth #33045 – Observables™, the company that created a revolutionary system for security professionals, will be debuting full integration of the AlwaysON™ Cloud Premise Management platform with the award-winning Connect+ Security system from Alula at ISC West. Las Vegas, NV – April 10, 2019 – Channel Partners Expo – Booth E16 – Observables, makers of the AlwaysON™ Premises Management Services Delivery Platform, announced today that WTG, one of the nation’s top master agents, has joined the Observables Channel Partner Program. WTG’s agent partners are now able to monetize the IoT and receive MRR by offering wide range of Smart Business services. Las Vegas, NV – April 9, 2019 – Channel Partners Expo – Booth E16 –Observables, creators of the AlwaysON™ Premises Management Services Delivery Platform and IOBOT® Software-Defined Security Devices, has released their all-new POTS Line Alternative solutions at Channel Partners Expo. Santa Barbara, CA – January 26, 2019 – Observables, makers of the AlwaysON™ Premises Management Platform, announced today that it will be releasing their Video Camera Management Kit at ITExpo in Ft. Lauderdale, Florida January 29 – February 1, 2019, booth #813. The all-in-one “Video Camera Management Kit” package contains all of the items necessary to install cloud-powered video on a premise. Santa Barbara, CA – January 25, 2019 – Observables, makers of the AlwaysON™ Premises Management Platform, announced today that it will be releasing the first-of-its-kind, plug-and-play Server Room Monitoring Kit at ITExpo in Ft. Lauderdale, Florida January 29 – February 1, 2019, booth #813. 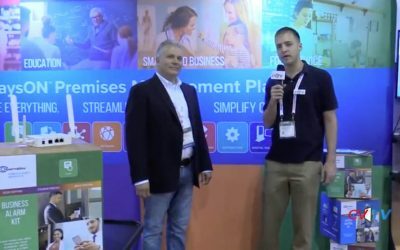 Santa Barbara, CA – January 17, 2019 – Observables, makers of the AlwaysON™ Premises Management Platform, announced today that it will be showcasing its AlwaysON Premises Management Platform at ITEXPO, held January 29 – February 1, 2019 at Greater Ft. Lauderdale/Broward County Convention Center, Ft. Lauderdale, Florida. Meet Observables at booth 813 to learn more about how they deliver powerful smart business technology solutions – enhancing safety, productivity and profitability for small to midsize businesses. San Diego, CA – September 5-9 – CEDIA – Z-Wave Booth #2715 – Observables, Inc., the leader in Premises Management Services is introducing their groundbreaking network management and control system at CEDIA 2018. This technology brings new features and recurring revenue opportunities to integrators. Las Vegas, NV – April 18, 2018 – Channel Partners Conference & Expo – Booth #9013 – Observables, Inc., the leader in Premises Management Services is releasing their all-new, first-ever Cloud-Based Software-Defined Local Area Network (SD-LAN) services this week, to extend security beyond the LAN for complete IP-IoT data transport and security. AlwaysON™ provides an intelligent and simplified approach to connecting, managing, monitoring and controlling on-premises IP-centric IoT devices. Las Vegas, NV – April 11-13 – ISC West – Booth #32086 – Observables Inc., the leader in Secure Premises Management Services, announces the following new distributor agreements boosting our reach into the marketplace and giving dealers more options to purchase the Observables award-winning systems. Las Vegas, NV – April 11-13 – ISC West – Booth #32086 – Observables, Inc., the leader in Premises Management Services announces a Joint Marketing, Reseller and Development agreement with Shot Tracer Technologies, Inc. This joint venture brings shot detection technology into the circle of trust in Secure Premises Management. Las Vegas, NV – April 11-13 – ISC West – Booth #32086 – Observables, Inc., the leader in Premises Management Services announces a Joint Marketing, Reseller and Development agreement with ZKTeco USA, producer of the most comprehensive access control platform. The joint venture between these players will create a seamless access control experience, providing end-to-end services for small to mid-size business and larger residential security markets. Santa Barbara, CA – March 22 – Observables will be showcasing its AlwaysON™ Premises Management Platform at Channel Partners, held April 18-20, 2018 at the Sands Expo Center in Las Vegas, NV. Meet Observables at Channel Partners in booth #9013 for strategies to increase your MRC while making IoT management easier for your valuable clients. Telecommunications service provider partners, energy partners, and security services partners should stop by the Observables booth to see the highly-secure IOBOT, which solves the control problem for your customers and enriches your bottom line using cloud-based services. Santa Barbara, CA – March 22, 2018 – Observables will be showcasing its AlwaysON™ Premises Management Platform at ISC West, held April 11-13, 2018 at the Sands Expo Center in Las Vegas, NV. Meet Observables at ISC West in booth #32086 for strategies to increase your RMR while creating sticky relationships with happy clients. 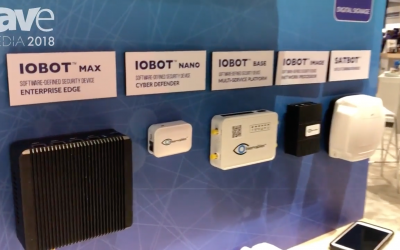 Security services installers should stop by the Observables booth to see the highly-secure IOBOT, which solves the control problem for your customers, adds a layer of security to IoT devices and enriches your bottom line using cloud-based services. FT. LAUDERDALE, Fla., Feb. 12, 2018 /PRNewswire/ — February 13-16 – IT Expo 2017 – Booths #131, 135 – Observables, Inc., the leader in Premises Management Services announces a Joint Marketing, Reseller and Development agreement with Sproute Networks, Inc., a leader in SD-WAN products and services. The joint venture between these players will create a unified networking business solution, providing end-to-end services for the SMB and Enterprise markets. Santa Barbara, CA – March 29, 2018 – Observables, Inc., a Software-Defined Security company focused on providing SD-LAN service has hired Terry Howard as Vice President, Business Development for the Channel. Observables solution includes an appliance installed on the customer’s premises combined with a robust and fully secure cloud based SaaS. Mr. Howard and his team will focus their efforts on bringing this new and exciting state-of-the-art, secure Premises Management Platform to Telecommunications and energy services marketplace using Master Agencies and Channel partners throughout the US, Canada, and Latin America. Santa Barbara, CA – February 1, 2018 – Observables announced today that it will be showcasing its AlwaysON™ Premises Management Platform at ITExpo, held February 13-16, 2018 at Greater Ft. Lauderdale/Broward County Convention Center, Ft. Lauderdale, Florida. Meet Observables at ITEXPO at booth 135 to learn more about Observables’s strategy for increasing RMR and making IoT management easier for Telecommunications service providers, MSPs, Value Added Resellers, and IT integrators with value-added IoT and connected services for Premises Management. Santa Barbara, CA – January 2, 2018 – Observables announced today that it will be showcasing its AlwaysON™ Premises Management Platform at ISE Europe, held February 6-9, 2018 RAI Amsterdam – The Netherlands. Meet Observables at booth 15-G258 to learn more about Observables’s services for increasing RMR and making IoT device management easier for AV systems intergrators with value-added IoT and connected services for Premises Management. With Onboard Software Platform and SaaS Business Model, Dealers have an Unprecedented Cross-Market Offering. Santa Barbara, CA – June 13, 2017 – Observables Inc. will revolutionize security, AV, smart home and IT dealers’ business models with the launch of their new patent-pending IOBOT™ with the AlwaysON™ Platform. Las Vegas, NV – April 4-7, 2017 – ISC West 2017 – Booth #34087 – Observables™ Inc., has created a connected service platform that unifies access control, automation, surveillance and security into a singular system that brings security professionals a simplified, highly-connectable, reliable business solution that consumers will find easy-to-use, dependable and completely useful. Las Vegas, NV – April 4-7, 2017 – ISC West 2017 – Booth #34087 – Observables™ Inc., a startup that has created a revolutionary all-in-one access control, automation, surveillance, security & alarm system for security professionals, will be debuting the IOBOT™ Signal Router powered by the AlwaysON™ Cloud service at ISC West. The patent-pending IOBOT router from Observables offers configurable internal modules, for customisation by market application. The device’s AlwaysON platform gives it the baseline functionality of a regular network router, but can also discreetly control phone and intercom, access control, security, network, automation, persistent communications and more. AlwaysON enables dealers to add a Software as a Service (SaaS) business model through revenue-based subscriptions determined by end-user service and functionality. Winner: Observables Advanced Router. Observables’ IOBOT hardware coupled with AlwaysON software will help redefine how smart homes and businesses manage their security, communications, A/V and IT functionality, while providing systems integrators new avenues for RMR through a SaaS business model. Basically, this is a baseline router on steroids; specifically, a Software Defined Security Device (SDSD) programmable to your specific market application such as intercom, access control, automation, security, etc. Security Sales and Integration | Webcast: Latest trends in security and home automation. “With the advent of the Internet of Things and the subsequent bevy of internet-enabled products that have hit the market in recent years, security dealers are now able to offer home and business owners a wide range of services that once seemed impossible. But as more and more IoT products and services become a reality in today’s increasingly connected world, it has also become more difficult for dealers to streamline the installation of so-called “smart” devices within a residence or business. With Observables’ patent-pending IOBOT software as a service (SaaS) and AlwaysON platform, dealers can offer end users subscription options. Observables Inc. has created a connected service platform that connects, manages, monitors and controls new and legacy infrastructure devices on the network. These devices include alarm systems, computer networks, access control, smart home, and phone and video surveillance into a singular cloud and mobile dashboard for dealers, OEMs, makers, and end-users alike. With Observables’ solution, crucial aspects of the business are constantly monitored. Exceptions established by the individual operator can be conveyed on multilevel notifications such as push, text, voice, e-mail, or local alarm. 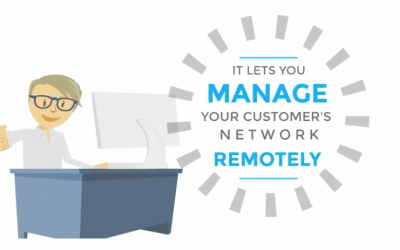 This allows owners to check the pulse of their business anytime from anywhere in real-time. Abe Schryer explains the AlwaysON Premises Management Platform from the Observables booth on the CEDIA 2017 show floor. Matt Scott interviews Abe Schryer about Observables. 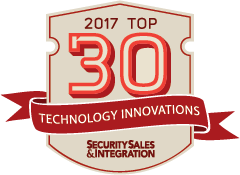 SSI columnists Paul Boucherle and Bob Dolph each picked 15 technology innovations from the past year that peaked their interest.